Glenfall Primary School has a Pupil Admission Number of 30. As we have 7 classes our maximum capacity is 210. For in year admissions please contact the school office on 01242 234055 to enquire if we have places available in the year group that you are seeking. If you are looking to send your child to Glenfall to start their Foundation Stage in September you will need to follow the procedures detailed on the Gloucester County Council Website. 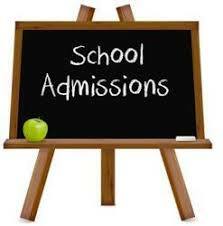 If you are planning to put Glenfall down as one of your preferred schools we very much look forward to meeting you. Please come along to one of our open sessions. Our main event is Wednesday 17th October at 1.30 pm. This will be an opportunity to hear a presentation from the headteacher and to have a tour of the school with some of our Year 6 pupils. We are also offering two, tour only sessions with the headteacher. These will take place on Wednesday 10th October at 2pm and Tuesday 30th October at 9.15am. There is no need to book a place. You are welcome to just turn up at any of the events.